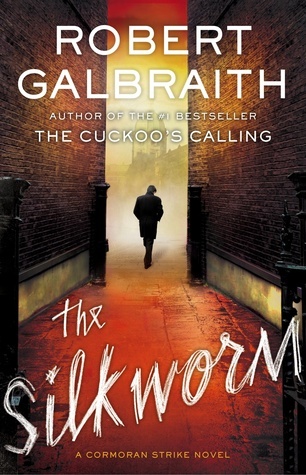 This entry was posted on Friday, September 15, 2017 and is filed under Book Review,Cormoran Strike,JK Rowling,Mystery,Robert Galbraith,The Cuckoo's Calling,The Silkworm. You can follow any responses to this entry through the RSS 2.0. You can leave a response. I still haven't delved into this series but I did read her other book-for-adults: The Casual Vacancy. It was absolutely, completely depressing. Didn't expect that! I hear this series is really good. You're not the first person to tell me The Casual Vacancy was depressing. This series has some dark moments, but it is all surrounded by some good humor too! Now you have added two books to my list. I was hesitant to read her fist, but will do so. They are totally worth the read. I'm looking forward to reading the third novel soon.